Instagram is a great social platform for visual narrative and brand awareness. 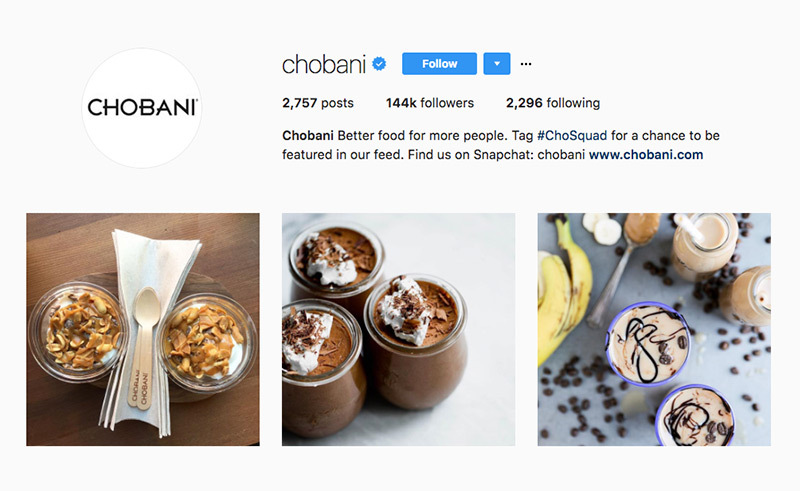 Lindsay Kolowich, who is the senior management marketing at HubSpot, thinks that Instagram is “a unique opportunity to visually represent your brand, celebrate its personality and keep top of all those users who are moving through their Instagram feed every day”. 600 millions of users (of whom 62% follow a trademark) and the new features of the markets that are in circulation, brands need to perfect their Instagram account and use this platform to have the best results. Just have a look of the following Instagram accounts of some brands that will inspire you…! Etsy is a global creative business platform – they build markets, services and economic opportunities for creative entrepreneurs. 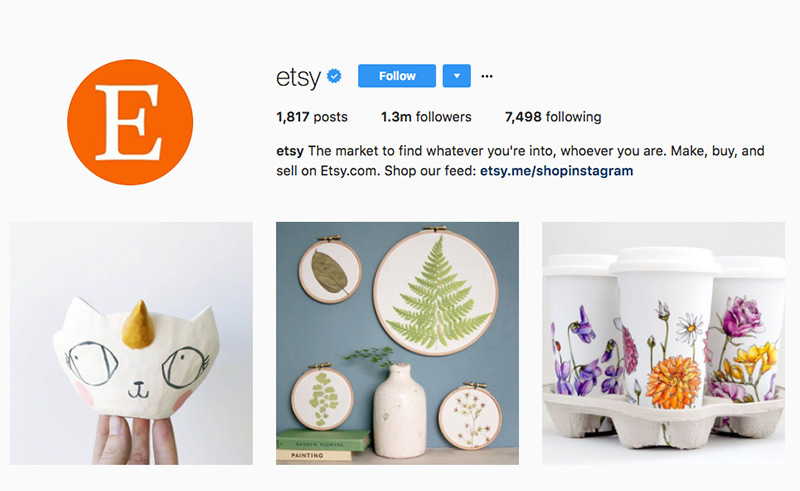 Etsy’s Instagram account has a dainty look and feel, and present us some of its most unique and extremely wonderful products. The brand uses amazing contests and makes its followers to engage in a very clever and creative way! West Elm is a brand that offers modern furniture & home accessories and inspire us in order to create a wonderful space or small home corners full of design and colors. 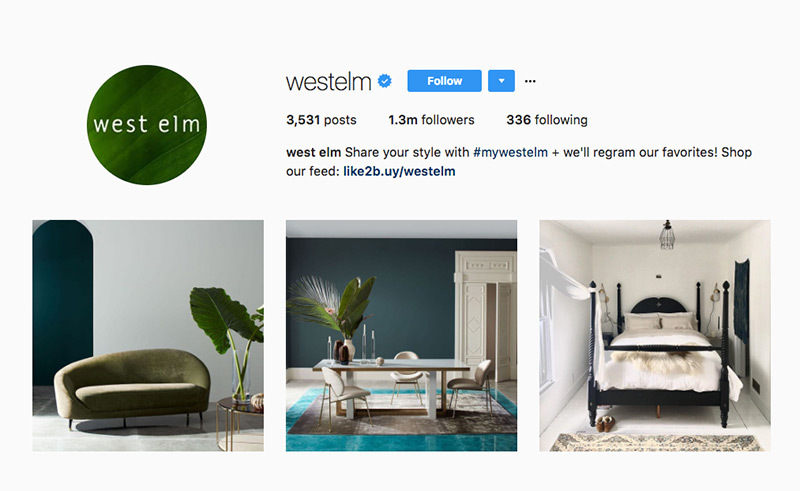 The brand’s Instagram account is full of inspirational photos and videos, tips and ideas of dreamy homes and of course everyone can find the latest collection of the brand’s furniture. The followers can share photos of their homes with the hashtag #mywestelm and West Elm regrams its favorite! Is there anyone that doesn’t know Tasty?! Of course, not! 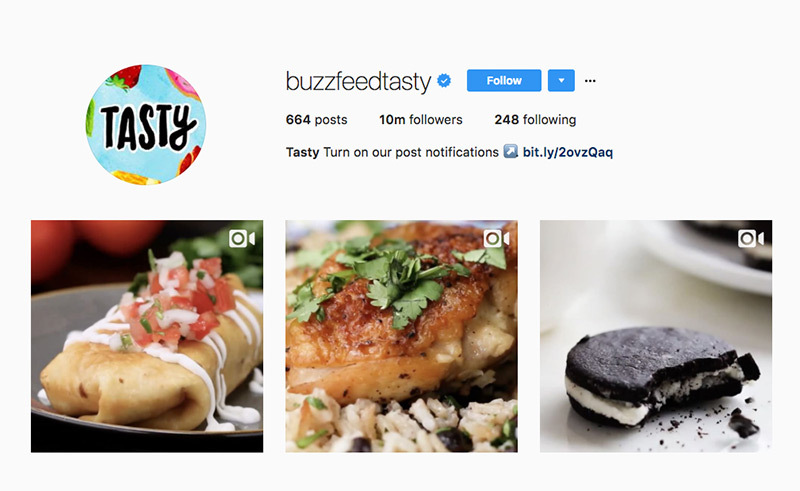 Tasty’s Instagram account is full of food photos & short but enthusiastic food videos that present you a simple recipe with delicious taste. Tasty, has millions followers and gets millions of views and interactions due to the simplicity of the food videos, as they have easy instructions below, with minimal text. Fashion and Fitness, what else can a woman ask for?! 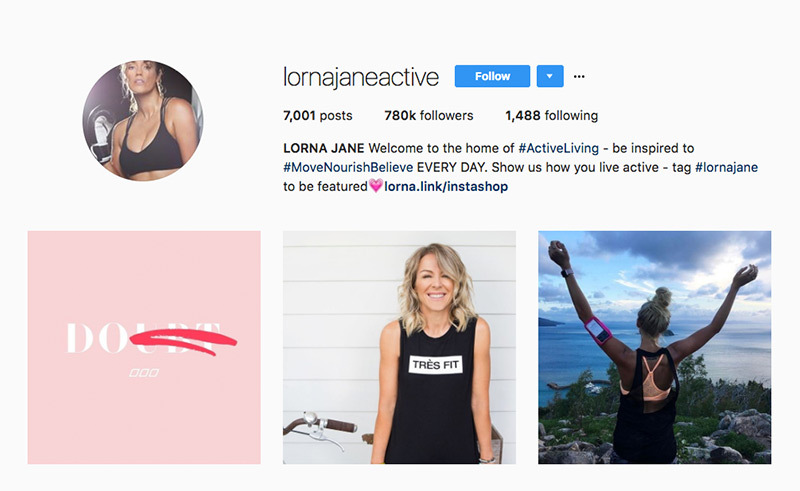 Lorna Jane’s Instagram account has both of them! Just follow the account and you‘ll find amazing everyday photos, fashion trends, fitness tips, and a lot of other things of her philosophy that will inspire you to the end! Chobani – the American’s No1 Greek yogurt that is not genetically modified has also a wonderful Instagram account, in which they upload photos – especially with healthy sweets of their products – giving inspiration to the followers so as to make different and unexpected small deserts with the brand’s products! 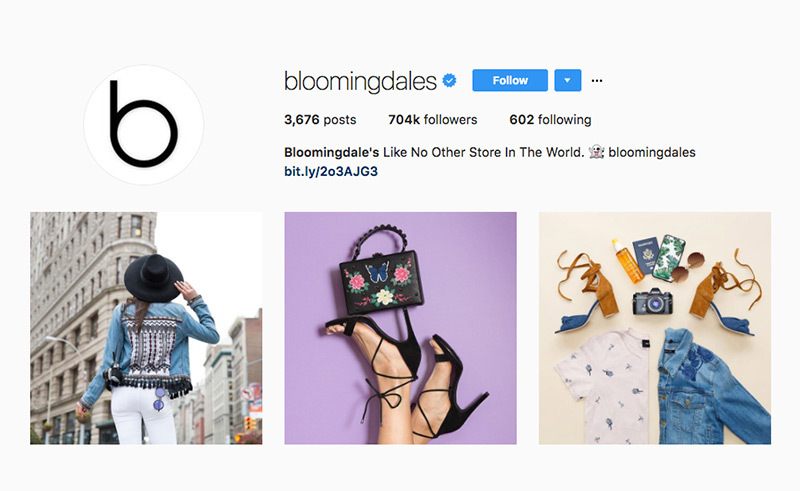 Dynamic, colorful, vivid, fun… that’s the Bloomingdales Instagram account that will inspire you, excite you and make your mood everyday! 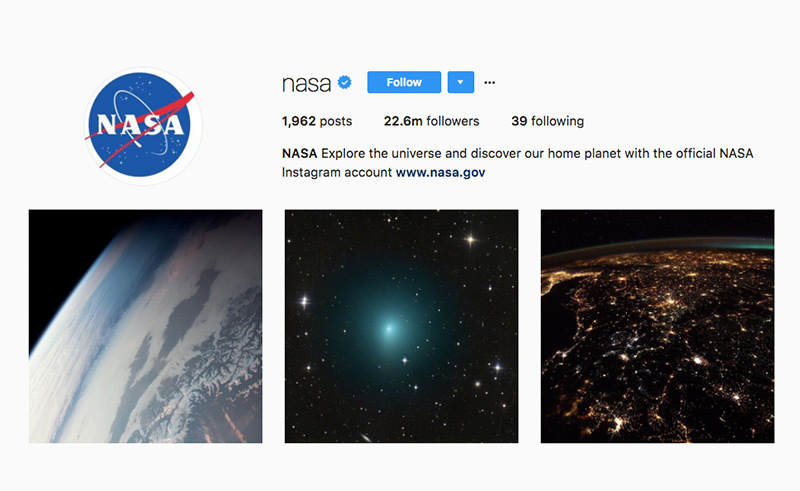 Nasa’s Instagram account is what we are saying out-of-this-world! If you want to travel to a magical world, the only think you can do is to follow this account, to let your imagination travel and to explore the wonderful unknown universe with the amazing Nasa’s photos & videos! 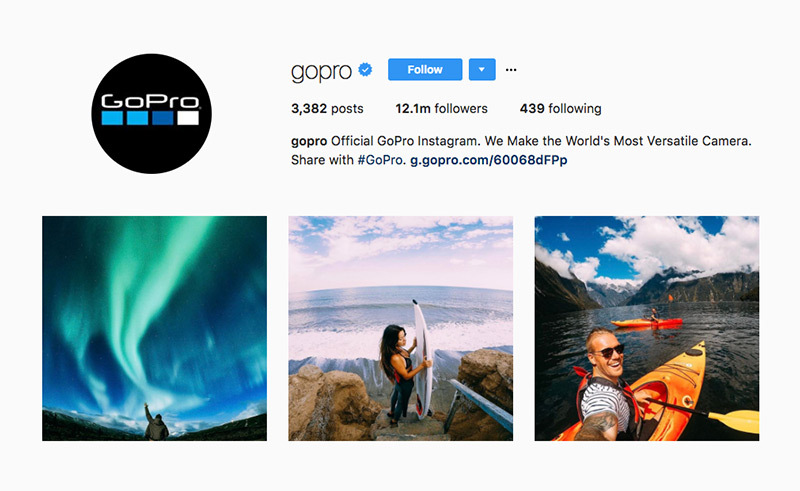 GoPro ‘Makes the World’s most versatile cameras’ and their Instagram account reflect just that! You can share your adventurous GoPro photo with the hashtag #GoPro for the chance to be featured on the brand’s Instagram account and be seen by GoPro’s 13 millions followers! 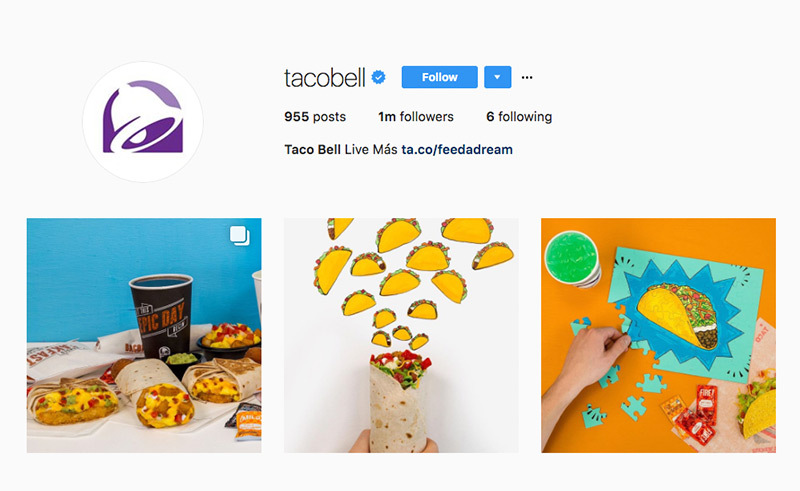 Humor, creativity, color, enthusiasm… that’s the key elements that characterize the TacoBell’s Instagram account. Just follow the account and let the brand make your day! MailChimp provides marketing automation for e-commerce businesses. 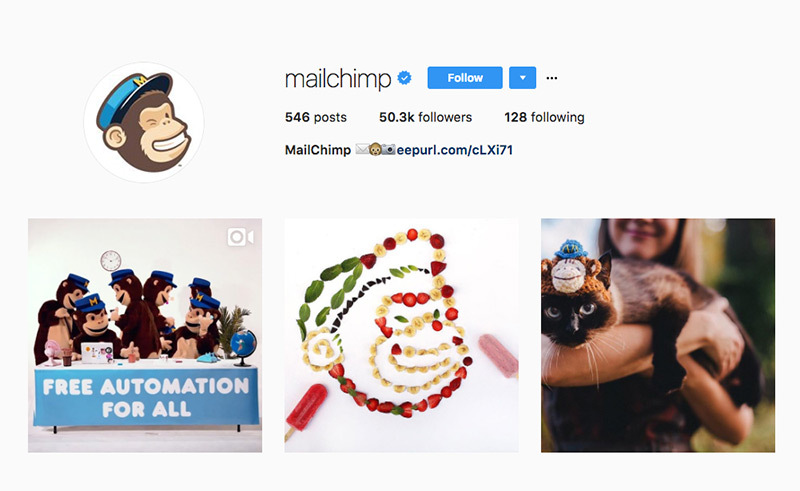 Its Instagram account uses playful illustrations, animations, clever everyday photos, and a funky monkey mascot so as to stay in customer’s mind!